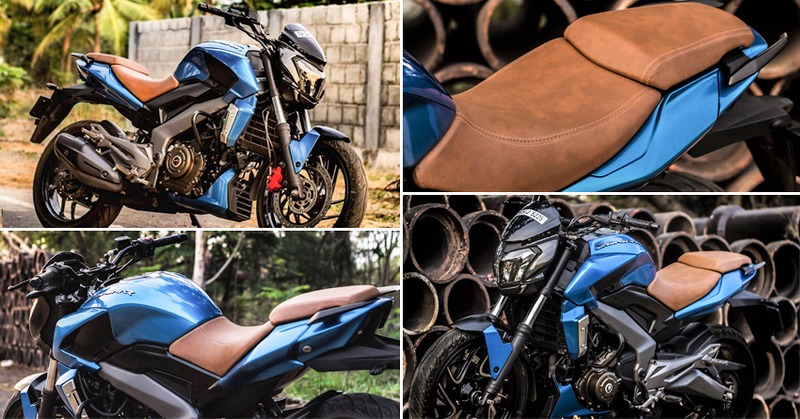 Meet Gloss Metallic Blue Bajaj Dominar 400: Knight Auto Customizer is back with their exciting wrap job and this time, it is none other than the 400cc Dominar. 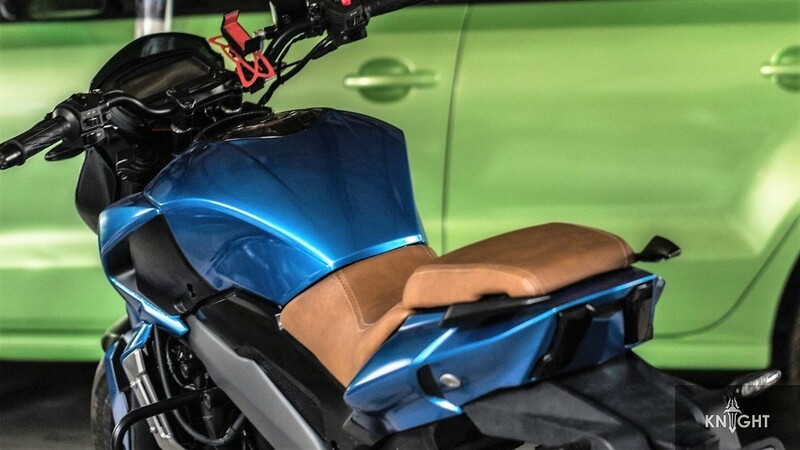 They have finished the major part of the motorcycle in Gloss Metallic Blue, covering the much discussed rear section too in this particular task. 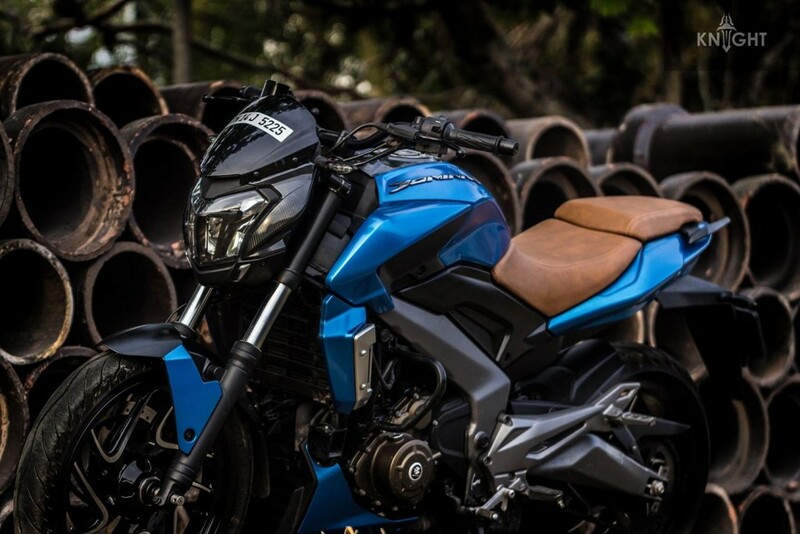 The front fender, panels surrounding the engine and radiator, half fuel tank shrouds and whole of the fuel tank is now much more appealing than the stock paint finish. 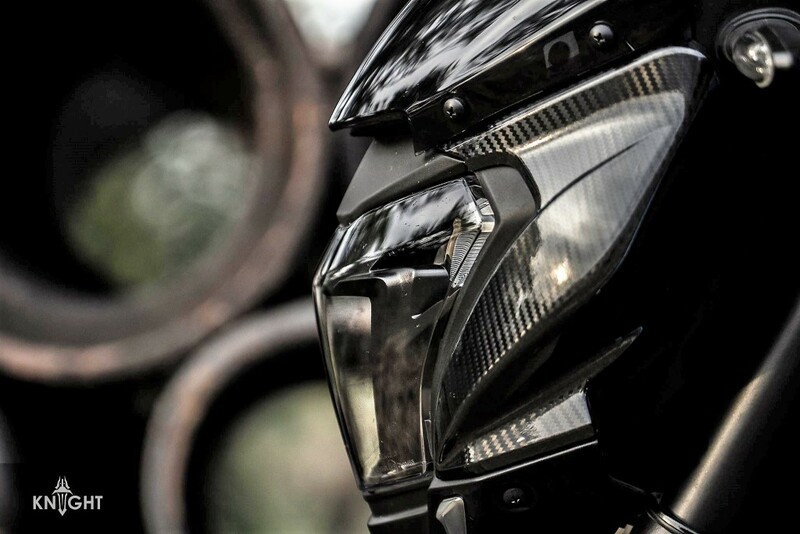 Apart from that, they have given the headlight section a carbon fiber finish and painted the brake calipers in Red for enhanced sportiness. 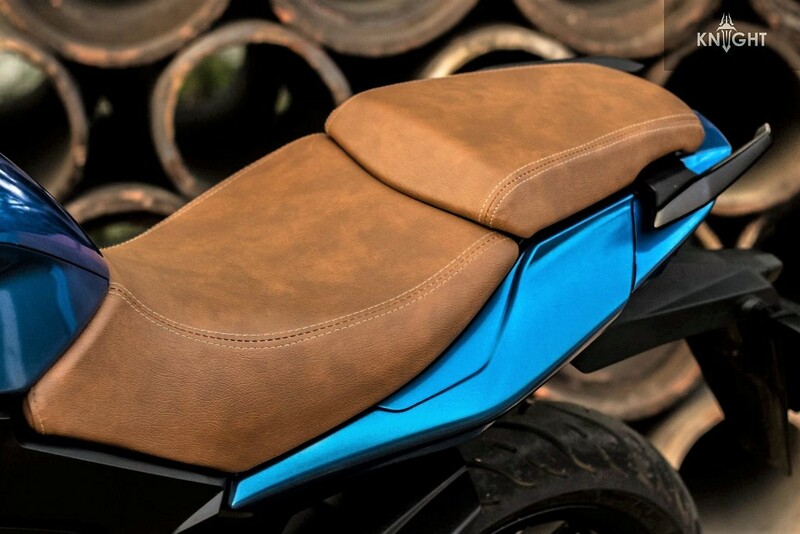 The seat is now finished in Brown shade and looks much more premium than the stock version. 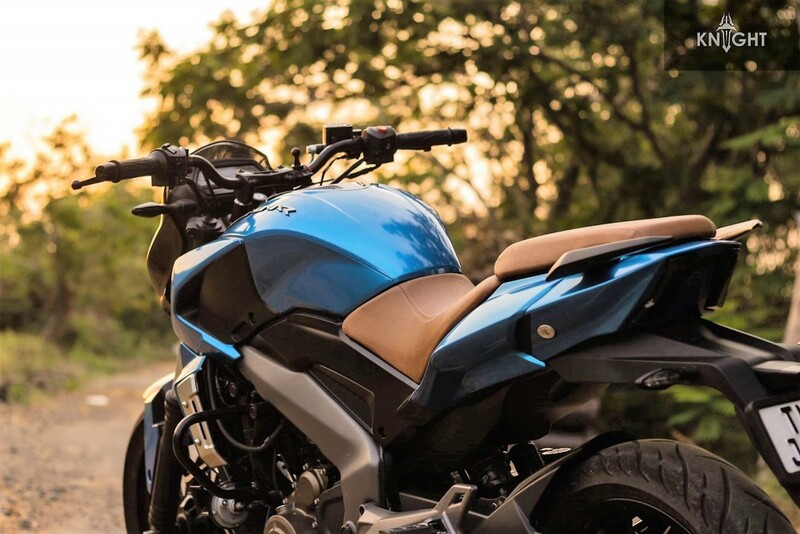 When it comes to performance, they have kept each and every component in the stock state and updated the bike in terms of looks only. 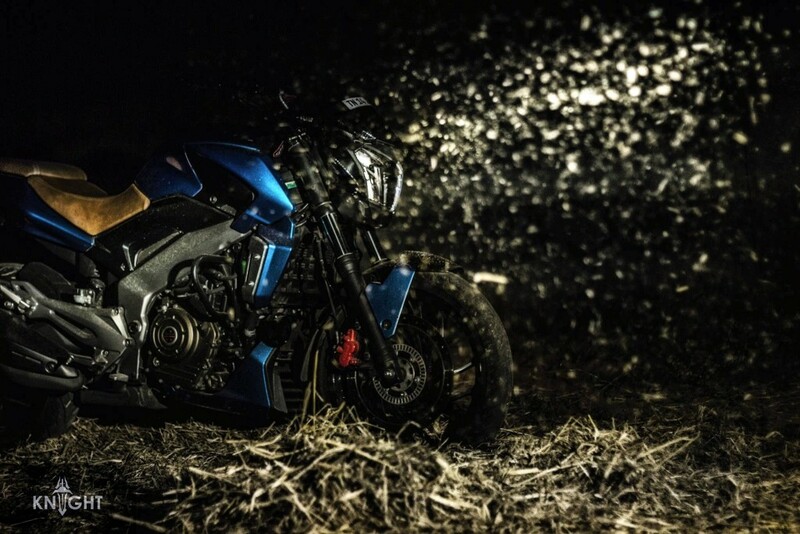 Bajaj Dominar has proved itself as a perfect ground for visual modifications through Knight Auto Customizer. 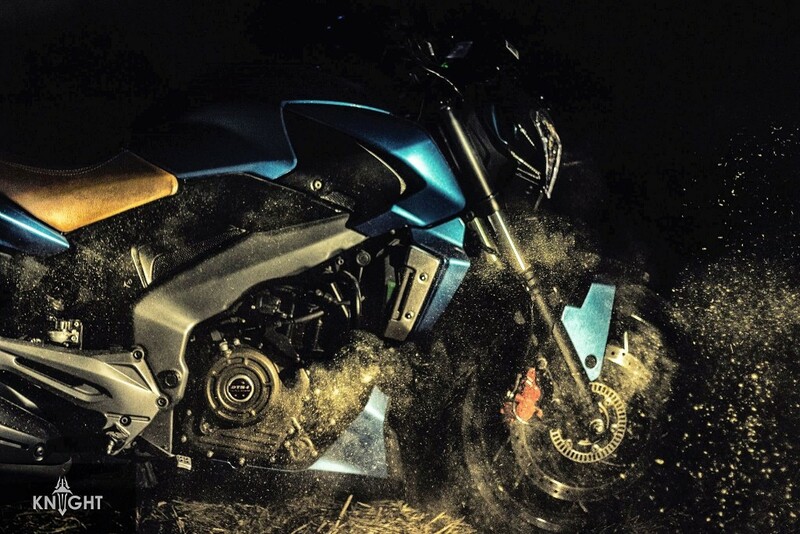 Dominar 400 is powered by a 373.2 cc, single cylinder engine producing 35 HP at 8000 rpm and 35 Nm at 6500 rpm. 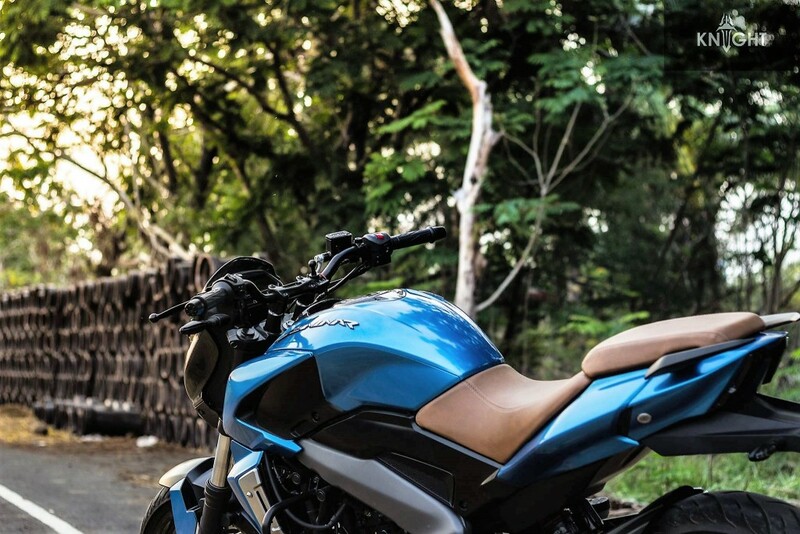 It comes mated to a 6-speed gearbox with slipper clutch and claims a top speed of 156 kmph. The base version is priced at INR 1,46,000 while the variant with dual channel ABS can be bought for INR 1,60,000. The prices given here are ex-showroom Delhi. 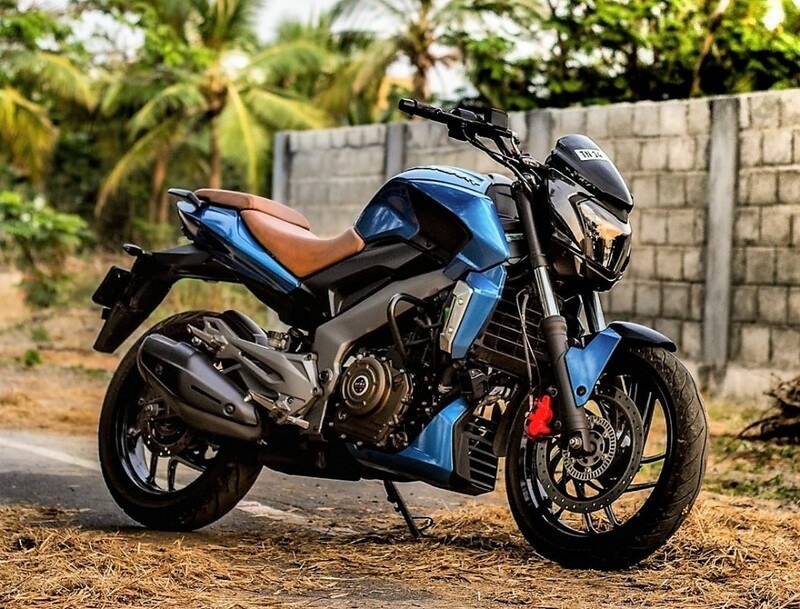 Dominar 400 carries a class leading 320 mm of front disc brake.